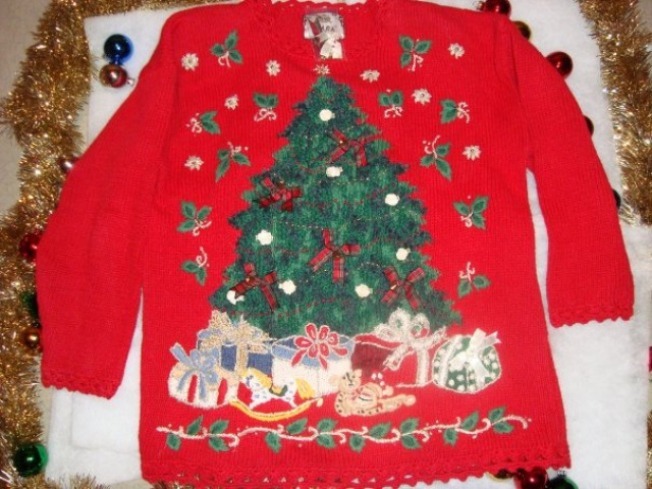 Time to find your best ugly sweater! The hustle and bustle of the holiday season is upon us, but before you get caught up in the decorating, shopping and parties, why not raid your closet for your ugliest holiday sweater? Mohegan Sun wants to see the cream of the crop. You know the one with the bells on it, or maybe it has applique snowmen. Better yet, maybe it says "I Believe" with Rudolph's red nose placed just right across your chest. If you dig deep enough, you just might cash in at Mohegan Sun. The casino is asking for photos for the 2nd annual It's Not You, It's The Sweater Contest. This year, the casino is putting all the photos on Facebook and the one with the most "likes" wins a $250 gift certificate to The Shops at Mohegan Sun. So start flinging ing and dust off the mouth balls because you have until Wednesday, Dec. 15. We want your ugly sweater photos. Please send them to us by clicking here.